Newline Group (Newline) today announced that it has selected Cologne to be Newline Insurance Company Limited’s European Union insurance hub. Newline has begun the application process and is seeking to create an insurance company subsidiary that will be capitalised, licensed and regulated in Germany. Newline Insurance Company Limited previously established a branch office in Cologne in December 2016 to provide its policyholders and brokers with a local underwriting and claims handling team. Newline Group is a market leading specialty insurance group that operates through two underwriting platforms, Newline Syndicate 1218 at Lloyd’s and Newline Insurance Company Limited. From its headquarters in London, offices in Cologne, Leeds, Malaysia, Melbourne, Singapore and Toronto, and presence at Lloyd’s China in Shanghai, Newline underwrites international casualty and cargo business in more than 80 countries around the world. 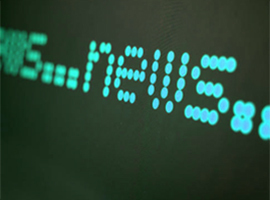 Newline Group is part of the Odyssey Group, a leading worldwide underwriter of reinsurance and specialty insurance. Odyssey Group is wholly-owned by Fairfax Financial Holdings Limited. For more information, visit www.newlinegroup.com.